Every year during the celebration of Eid, one of the most important Islamic holy days, a vast number of animals, in India and many other countries throughout the world are slaughtered. Sheep, camels, and goats are killed in the streets in a way that causes drawn-out suffering for the animals. Often camels slaughtered in south India have been forced to walk on foot from all the way from Rajasthan in the northwest; many others have been transported by truck in terrible conditions. The slaughter at the Eid celebration has continued despite the statements by many Moslem animal advocates that this practice is not required by their faith and that animal abuse is contrary to the tenets of Islam. Dr. Chinny Krishna, Founder and Chairman Emeritus of Blue Cross of India, has been engaged for a number of years in combating this slaughter of camels, which most people in India find cruel and barbaric. In November 2011, Dawn Williams, general manager of Blue Cross of India, witnessed the unloading of a van filled with camels that had been transported from Rajasthan in deplorable conditions. Mr. Williams filed a report at the police station in Saidapet, a Chennai neighborhood, alleging the inhumane transport of camels to slaughter, over a five-day trip, to three separate locations. The police responded that they were powerless to stop the slaughter of the camels in the streets, saying that it was not illegal, but they did promise to investigate the transport conditions. In 2011, Blue Cross filed a case with the court to ban the practice of slaughtering animals in public places, which is done at the time of Eid. Now two years later, the Chennai Court has ruled that the slaughter of animals in public places is against the law in Tamil Nadu. Animal slaughter may only take place in licensed and regulated slaughter houses, and slaughterhouse rules must be strictly followed with respect to slaughtering camels. This, in practice, makes the slaughter of camels for Eid illegal in Tamil Nadu. However, there is a loophole; it would still be possible for the City of Chennai to designate any area as a temporary slaughterhouse. Dr. Chinny Krishna says that they will need to go back to the court to clarify this point. People in India have been alarmed for some time by the scenes of suffering camels being slaughtered in public places, during the annual Eid celebrations, and a number of other efforts have been brought to bear against this practice. On the same day as the court ruling, the National Food Safety Authority of the Central Government – which has authority for food over all states except Jammu and Kashmir – said that dogs, rabbits, and camels are not fit for human consumption and cannot be slaughtered for food. This decision also makes it illegal to slaughter camels for Eid. Giving camel meat as food for the poor, also an Eid tradition, is now illegal anywhere in India. Of course, it is kind to feed the poor, but feeding the poor at the cost of great suffering on the part of innocent animals does not honor either the poor or the Islamic faith. In another protective measure — in Rajasthan, the camel has been declared a “heritage animal,” which means it is protected by law. This declaration was due to the dedicated work of Daulat Jain, former Vice Chairman of the Animal Welfare Board of India. 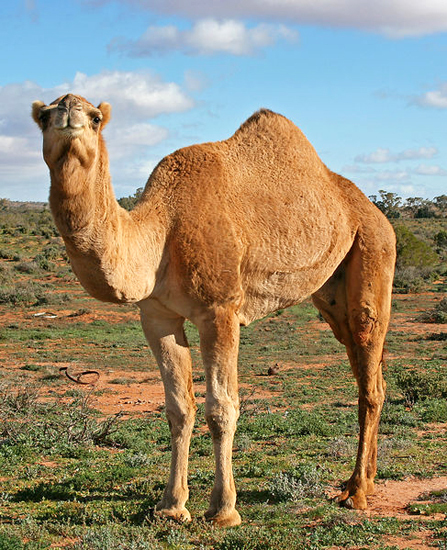 Dr. Chinny Krishna also wrote a letter stating that the camel population was being depleted. The Rajasthan Bovine Act, which includes camels, signed by Chief Minister Vasundra Raje, has declared that camels cannot be slaughtered in Rajasthan. Kerala and Karnataka have also banned the slaughter of camels. Camel slaughter still occurs in Andhra Pradesh, but this will now be stopped since camels can no longer be legally transported out of Rajasthan. All these significant steps taken to protect Indian camels mean that many thousands of these animals can now live free from the danger of these cruel abuses. 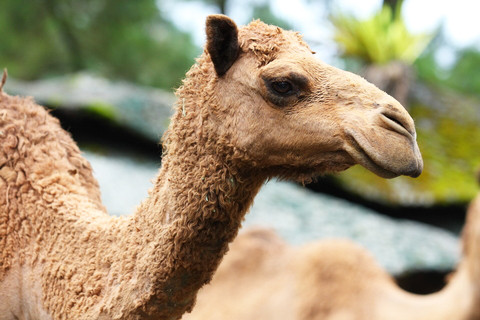 Second photo: © Boaz Yunior Wibowo | Dreamstime.com / A camel in Indonesia.